Dr. Wang received her B.S. degree in Pharmacy from Fudan University (2005) and Ph.D. degree in Biology from the Institute for Food Safety and Health at Illinois Tech (2010). 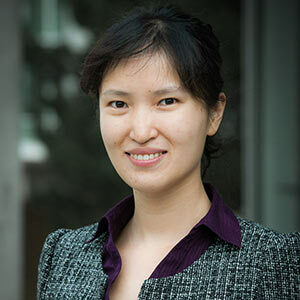 Prior to joining UBC in 2013, she was a postdoctoral associate at Cornell University. Please see The Wang Lab of Molecular Food Safety - Research. Check out the Food Safety Blog written by students enrolled in this course. Please see The Wang Lab of Molecular Food Safety - Publications.